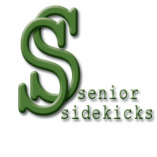 When you cannot be in two places at once, call Senor Sidekicks. Your subscription of 3, 6, or 12 months entitles you to 1 free hour of service each month. Additional hours are billed. Stand-by puts us on your caregiving team to fill-in when you are ill, care for another family member, or finish work. If your loved-one “sounds funny” on the phone we will do a well-being check. We contact you with the results and/or follow through in an emergency.